This is a great question and his definition of the Product Management’s mandate really got me thinking. Webster’s definition of “optimize” is to make perfect, effective, or as functional as possible. That means that the product manager’s mandate is to make the product as perfect (or effective) as they possibly can. If we then define a “perfect product” as completely solving our customers’ problem, I think we can start to think of creative ways to measure how well were accomplishing this mandate. So, what are some of the ways we could measure how well we are solving our customers’ problems? Product features or internal performance benchmarking? 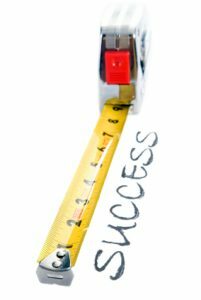 While I do think that measuring the internal aspects of product management is important, I would propose that measuring the actual results of product management is much more vital. How about how much revenue the product is producing? Product revenue is certainly a result of our efforts in product management and certainly a good thing to monitor, but it probably isn’t the best way to measure product management performance, as there are so many factors that are beyond the control of a product manager: sales process, sales channel, sales effectiveness, marketing strategy, marketing budget, etc. All these factors will have a significant impact (negative and positive) on product revenue. The first metric allows us to measure how well our solution is solving our customers problems. It will also allow us to identify gaps in our features and identify areas that need improvement all to “more perfectly” solve the customers’ problem. The second metric is important because it allows us to see how well we’re doing as product managers in making sure our products are superior to the competitions’ products. This is only important insomuch that we define being superior to the competition as being able to solve customers’ problems better than the competitions’ solutions. Measuring the first metric without measuring the second is a lot like a sprinter running a race and never checking in to see where the other runners are during the race, they just keep their eye on the finish line. You can still win races this way, but it’s a lot easier for your competition to sneak up and overtake you if you’re not monitoring their progress. You can be sure they’re keeping their eye on you. If I’m measuring and monitoring these two areas, the ongoing results of my product management efforts chances are the other things like product revenue, market share, sales enablement and bottom-line results are going to be meeting or exceeding expectations. I’m really looking forward to Saeed’s follow-up post to see what kind of metrics he comes up with. What do you think? Are these two metrics that product managers should be monitoring? Or, are there others that are more important for determining the perfection of your solution? About the Author: Ken Allred, Founder and CEO of Primary Intelligence, is a thought leader in SaaS-based sales intelligence, analytics and sales enablement solutions. He is committed to the optimization of sales, marketing and product management teams through the implementation of advanced Sales 2.0 intelligence solutions.